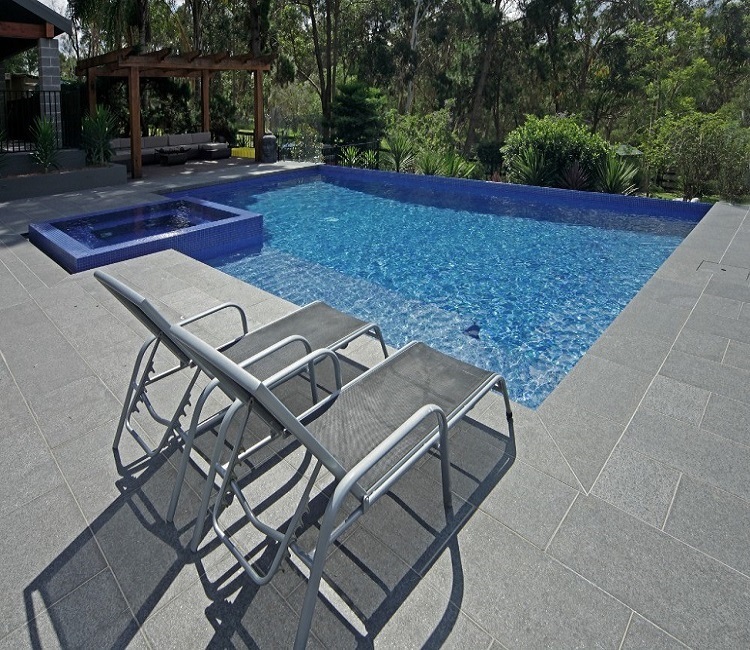 White Granite Pool Pavers offset with Bluestone Drop Face Pool Coping have been instaled to great effect on this pool renovation in the Melbourne suburb of Malvern. 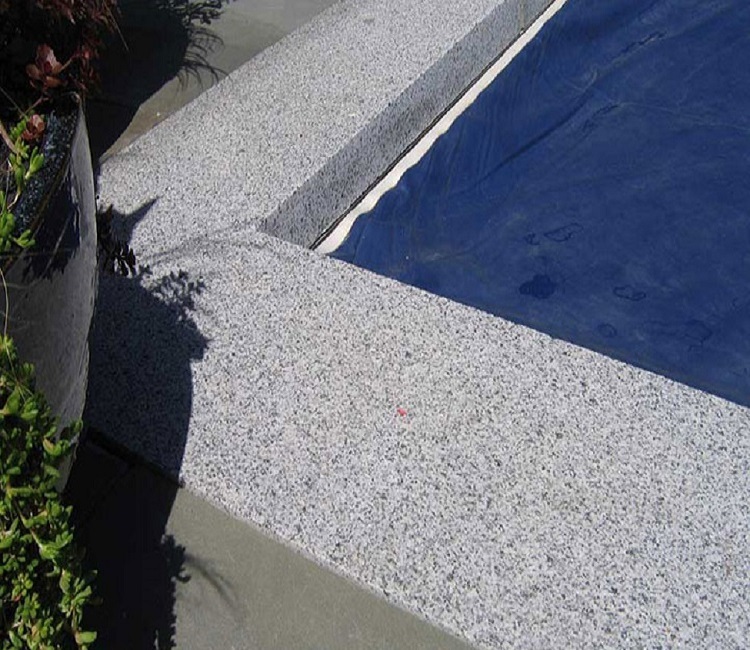 Dove White Granite Pool Coping with a 100mm Drop Face has been used for this corner coping. Matching Exfoliated Dove White Granite Pavers complete the project perfectly. Genuine Harkaway Bluestone Pavers with matching curved drop face pool coping tiles cut from a template supplied by your client. Custom made curved rebated pool coping and step treads available. Turn around time of around 4-8 weeks. Stone & Slate Discounts have used Golden Mint Sandstone Pavers and matching Curved Golden Mint Sandstone bullnose pool coping along with matching sandstone cladding on the house walls. renovated whilst others are new pools (from the pictures above).